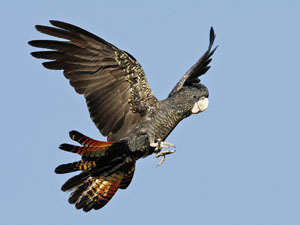 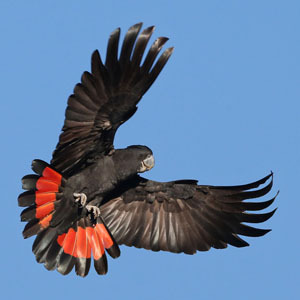 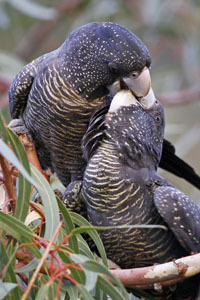 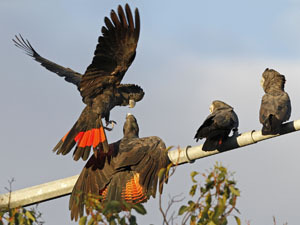 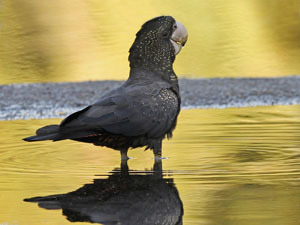 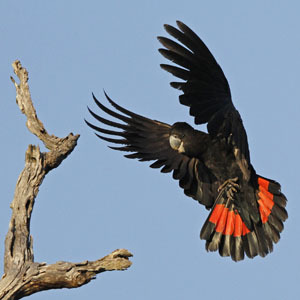 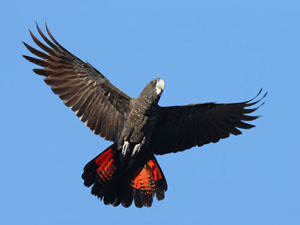 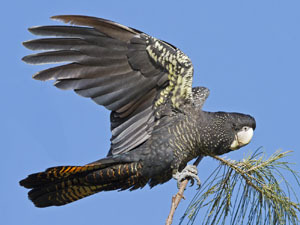 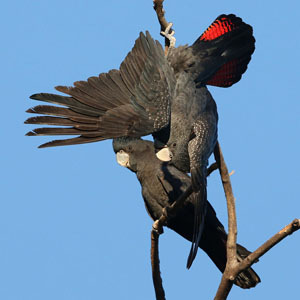 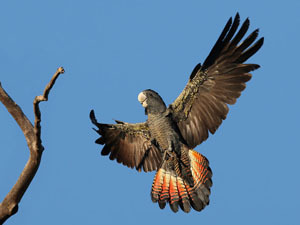 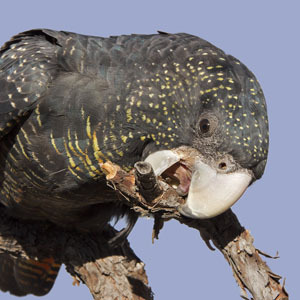 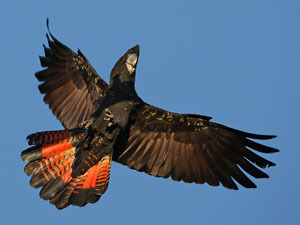 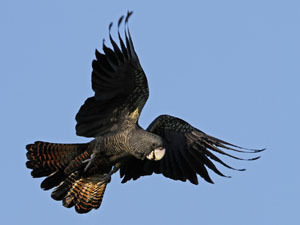 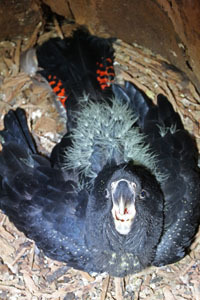 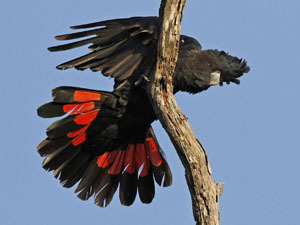 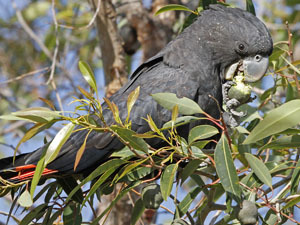 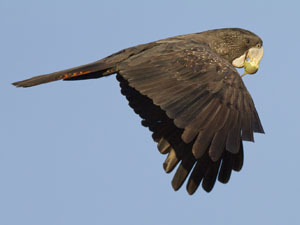 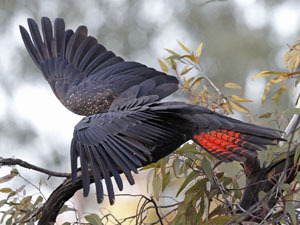 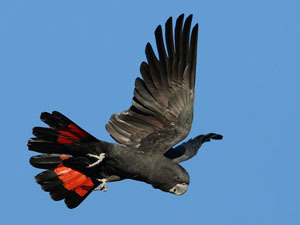 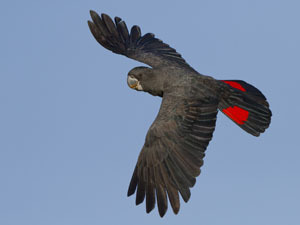 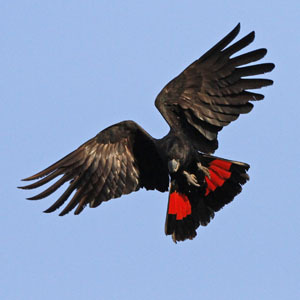 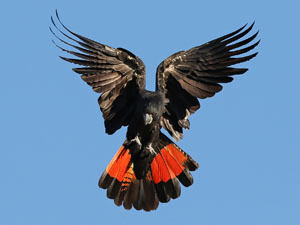 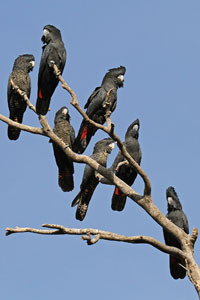 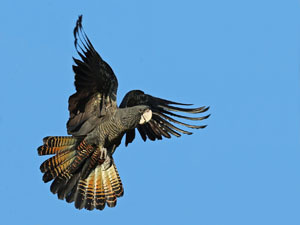 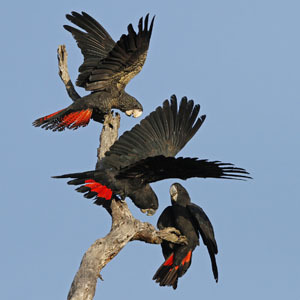 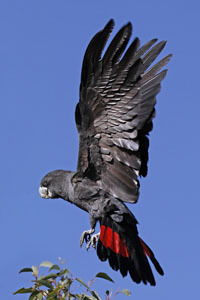 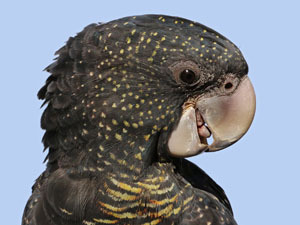 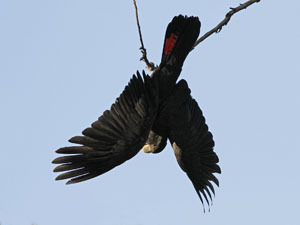 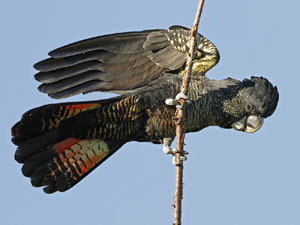 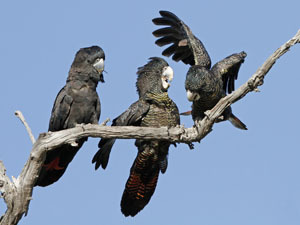 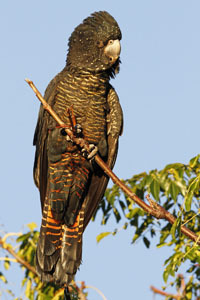 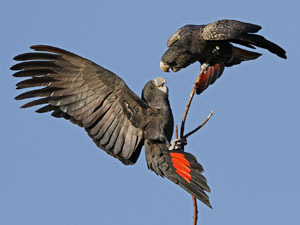 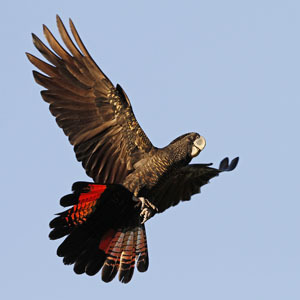 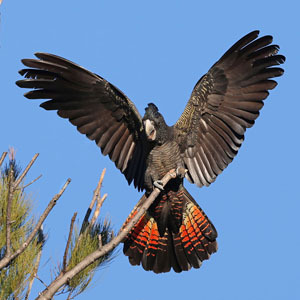 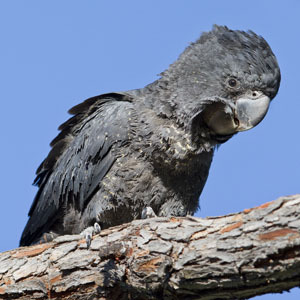 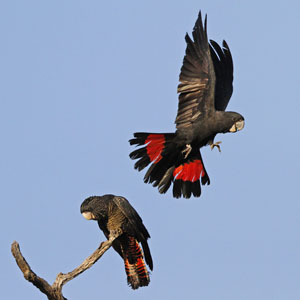 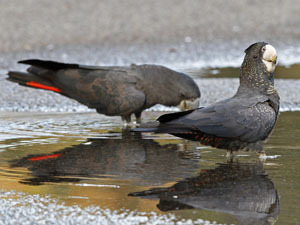 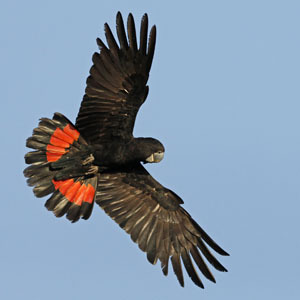 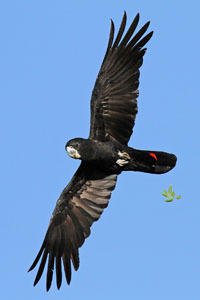 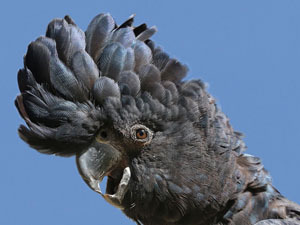 These birds are only found in South Western Australia - they are one of five sub species of Australian Red-tailed Black-Cockatoo. 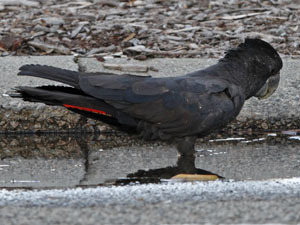 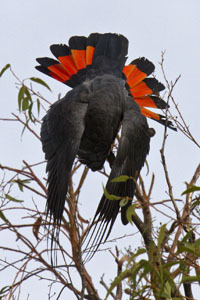 It is a delight to see the red tail flashes when these cockatoos are landing, preening or just having fun flying around. 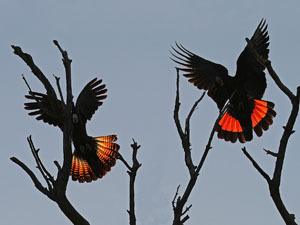 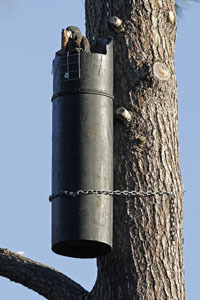 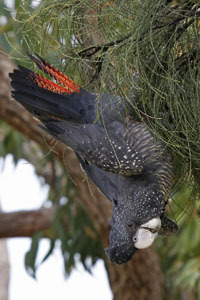 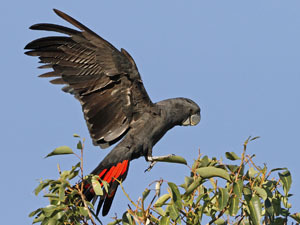 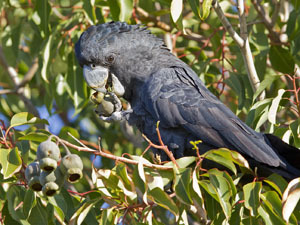 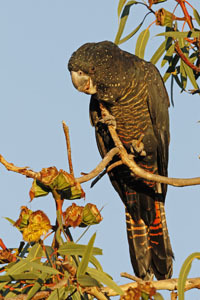 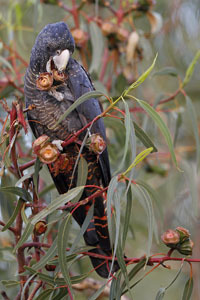 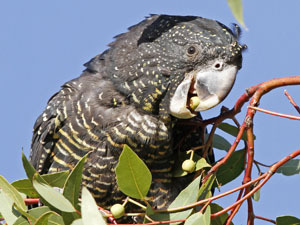 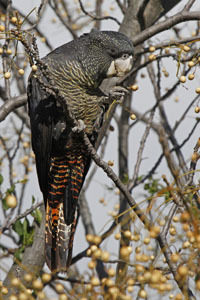 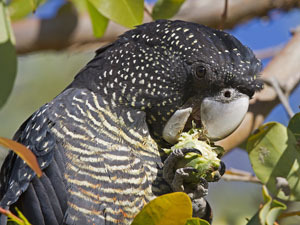 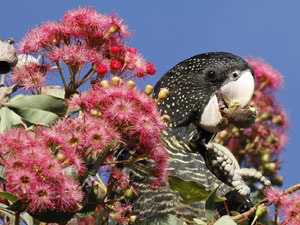 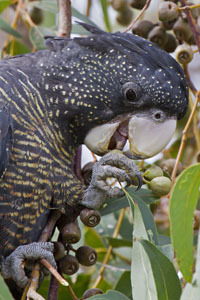 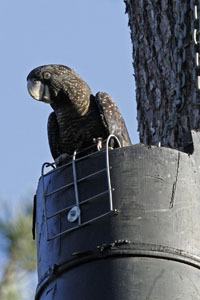 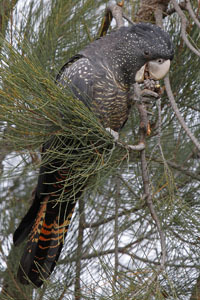 They feed on eucalypts, casuarina and hakeas plus they are also fond of introduced cape lilac trees. 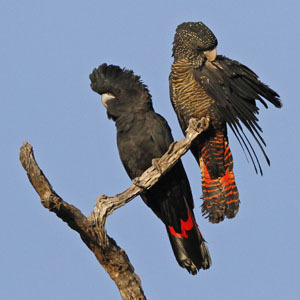 They are currently listed as vulnerable. 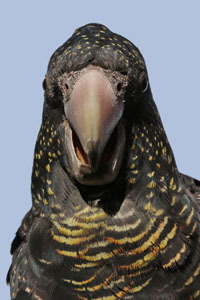 Photos not to be reproduced without my permission and acknowledgement. 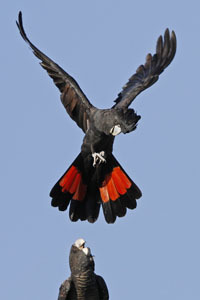 However I generally support educational and voluntary organizations with photos at no cost. 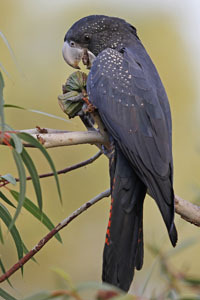 (EXIF) data has been retained in the above photos to identify the camera, lens and settings used.